Our kitchen appliances groan and moan as they age; the older they are, they louder they will get. Dishwashers can be particularly noisy and they are known to him hiss, and growl, not unlike your typical household cat. The quick-moving components of a dishwasher can make large amounts of noise thanks to their standard operating speed. Hissing from various valves is also a common dishwasher affliction, but one that is completely normal and harmless. However, when your dishwasher begins to shake, rattle, and roar instead of humming and hissing, you may need to repair dishwasher. Luckily, you have a few options. First, check the blade area of your dishwasher to make sure it is free of hard objects. It is not uncommon for trash and food to get caught around the blade where they rattle around. And always be sure to check whether or not your dishwasher is attached to the floor. If not attached, the dishwasher’s movement may be causing rattling. If you still have no clue why your dishwasher is so loud, call up a professional. If you’re out of luck and your dishwasher still makes terrible noises, then consider calling the Appliance Doctor for your dishwasher repair work. The doctor has had years of experience with appliances and will be able to help you pinpoint the source of your aggravation. Taking apart your appliances yourself can have some poor results, so leave it to a professional to pull apart your dishwasher repairing work. The Appliance Doctor has successfully serviced dozens of home appliances, so consult him if you can’t solve your dishwasher problems. If worst comes to worst, and it turns out you have a serious problem with your dishwasher, a repair will probably be necessary. This can be avoided with regular maintenance by a professional, but if you’re already in a pinch, you’ll need a professional appliance technician to perform a repair. To avoid future dishwasher problems, make sure your appliance is bolted down and check the dishwasher before running. http://www.appliancerepairtv.com/wp-content/uploads/2017/07/Header-Logo-4.png 0 0 gladmin http://www.appliancerepairtv.com/wp-content/uploads/2017/07/Header-Logo-4.png gladmin2018-01-04 06:41:102018-05-11 11:52:57Deafening Dishwasher? Your dishwasher is one of the hardest working appliances in your house. To keep in running efficiently and extend the life of this machine it needs to be cleaned and maintained. We are the appliance repair specialists in Westchester, NY and we recommend you consider these tips to maintaining a clean bill of health for your dishwasher. Heat is one of the biggest secrets behind your dishwashers cleaning power. One of the best tips to get your dishwasher water as hot as possible is to run your tap water in your sink until it is hot. That way you know you’re getting the maximum amount of hot water directly to your dishwasher as the cycle starts. Just because your dishwashers main function is cleaning doesn’t mean it won’t need to be cleaned regularly. Once a month you should run an empty cycle with one cup of white vinegar poured into the base. This will make the interior of your dishwasher sparkle and eliminate any bacteria that may be lurking. In the base of your dishwasher below the spray arm there is a debris trap. This is where food particles and other debris collect causing nasty odors and when full are often the cause for an Appliance doctor house call if left unchecked. This trap should be checked every two weeks. Cleaning out the rubber seal on the dishwasher door is an important tip to maintaining a sterile and healthy appliance. In 2011 researchers discovered that more than sixty percent of dishwashers harbored two types of aggressive fungi in the rubber seal around the door. These black yeasts are hazardous to human health and should be checked for regularly. Once a month pour a cup of white vinegar into a bowl, take a toothbrush and scrub around the entire door seal. These do it yourself maintenance tips are both practical and essential to the health of your appliance and your family. 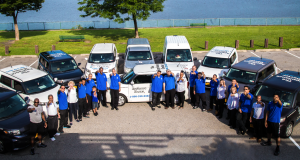 For expert dishwasher repair as well as any other appliance repair in Westchester and appliance repair Dobbs Ferry the Appliance doctor is currently making house calls. Dishwashers are great when they are doing what they are supposed to. However, there are common problems you might experience with your machine, that can easily be fixed. For fast and efficient dishwasher repair in Westchester, NY contact the Appliance Doctor. Here are four common dishwasher problems and how to solve them. Dishwashers are so efficient now that you don’t have to dry your load before putting it away. However, you may find some items are still wet, your plastic containers are usually the culprits. Take a look at your manual and use the most thorough drying cycle. Also, ensure you are using plenty of rinse aid in your machine. Unfortunately, your plastic items are more prone to retaining water and if you have tried these remedies, you may have to dry by hand. For dishes that aren’t 100% clean at the end of the cycle, you should find out what the cause of this problem is. It could be due to old detergent. If you buy in bulk and don’t use it within three months, it will start to degrade reducing its effectiveness. If your glass items have water spots then you will need to add rinse aid. Your detergent can only do so much and this product will help water to wash off, leaving your glasses sparkling. If you can’t fix it, use a Dobbs Ferry dishwasher repair technician. If you are finding your dishwasher is using too much energy, it might be time for a service. The Appliance Doctor offers dishwasher repair to Westchester, NY residents. Your machine should equate to the amount of energy handwashing uses as well as saving water. If you notice it is noisy and not energy efficient then you will need to rely on the experts. You may experience a number of problems with your dishwasher, however, the Appliance Doctor will fix it whether you are based in Westchester or Dobbs Ferry. A dishwasher is a huge help in the kitchen. However, when you encounter problems, it can be frustrating. Some of the most common issues you may experience include, poor cleaning, tablets dissolving too fast, cloudy glasses and hard water. If it is more than a simple fix, try the Appliance Doctor for Westchester and Dobbs Ferry dishwasher repair. Here are four of the top dishwasher problems and how they can be solved. You expect your dishes to be clean after a cycle. However, if your load is not clean at the end then your machine could be dirty. To combat this make sure you are keeping the filter free from food debris. Four times a year, run an empty cycle with either a dishwasher cleaner or vinegar to keep it fresh. Fill your machine correctly and you can prevent the need for dishwasher repair in Westchester, NY. If your glassware has become cloudy then your dishwasher is to blame. This is usually from a build-up of hard water minerals. To solve the problem soak your glassware in vinegar and increase the amount of detergent. You could also try a dishwashing booster product. Some homes experience more problems with hard water than others. Experiment with the amount of detergent you use to find the right balance. If you can’t resolve your appliance issues, find expert Dobbs Ferry dishwasher repair providers. Dishwasher tablets have made it easier to ensure you are using the right amount of detergent. However, you might notice they are dissolving too fast and your dishes aren’t getting the benefits. To remedy this you need to place them in the dispenser cup. If you add them to the tub, they will dissolve and wash away before the main wash. Your dishes won’t be clean and you will be wasting tablets. If you have followed our expert tips and your machine still isn’t cleaning effectively, use the Appliance Doctor for dishwasher repair in Westchester and Dobbs Ferry, NY. Your dishwasher is your helping hand in the kitchen. It reduces time and energy spent slaving over dirty dishes. However, you need to look after it so that it stays in top condition. If it’s no longer cleaning your dishes, get in touch with the Appliance Doctor for Dobbs Ferry dishwasher repair. Here are our five tips to keep your dishwasher in excellent condition. Don’t waste time washing your dishes before stacking them. It defeats the purpose of your appliance as all you need to do is scrape away the food. Allow your machine to do all of the work. If you want to help your dishwasher clean effectively, then run hot water before you start the cycle. This means the load will receive hot water from the outset as it doesn’t require time to heat up. If you find your dishes aren’t clean then call the Appliance Doctor for dishwasher repair in Westchester, NY. While your dishwasher is running hot water through every cycle, it still needs cleaning. If your machine isn’t smelling fresh, run an empty cycle with a cup of vinegar to combat smells and get rid of any residual bacteria. Don’t forget the dishwasher trap, check out your instruction manual for its location. There might be a build-up of foods that haven’t drained. You should also pay particular attention to the seals. A regular wipe over can help to keep them grime free. If your seals are damaged, the Appliance Doctor can help with Dobbs Ferry dishwasher repair. Don’t overfill your dishwasher when running a cycle. It’s better to do two loads than having to clean your entire load again. Not leaving enough room between dishes will compromise your appliances ability to wash its contents. You should also make sure you use the right cycle. This will ensure your dishwasher cleans effectively. For all dishwasher repair, in Westchester contact the Appliance Doctor.